Cool Zone Air Conditioning and Heating had its start in 2006. We’re a family-owned and -operated heating and AC company, and we treat our customers like they are a part of the family. We are 100% committed to providing customer satisfaction and believe in ensuring comfort in your place with a smile on your face. This means every day we come to work with the goal of building long-lasting relationships. Need to work with a budget? As a reputable heating and AC company, we have special financing options available for those with approved credit. Got an HVAC emergency? We provide 24/7 HVAC services as well. Cool Zone Air Conditioning and Heating is proud to serve the greater Phoenix Metro area. 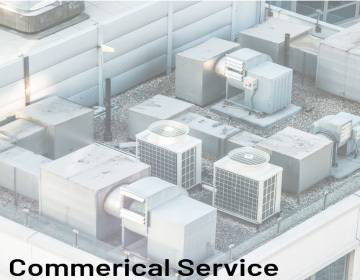 Aside from homes and businesses in Peoria, AZ, residential and commercial property owners in Phoenix, Scottsdale, Chandler, Glendale and the surrounding suburbs can also count on us for reliable heating and cooling services. Integrity. Knowledge. Reputation. Customer Service. These are the things you can expect from Cool Zone Air Conditioning and Heating. To learn more about us and what we can do for you, simply give us a call at (623) 322-0933. You may also request an appointment with one of our experts by filling out our online form. Talk to us today! Cool Zone Air Conditioning and Heating is a Carrier® Temperature Tough Dealer and is affiliated with the Better Business Bureau®, Peoria Chamber of Commerce, APS, Arizona Heat Pump Council and SRP.